Arc Energy Resources Project Manager, Martin Sandles, is set to run a gruelling 26.2 miles at this years Virgin Money London Marathon on Sunday April 22nd, raising vital funds for the British Heart Foundation. 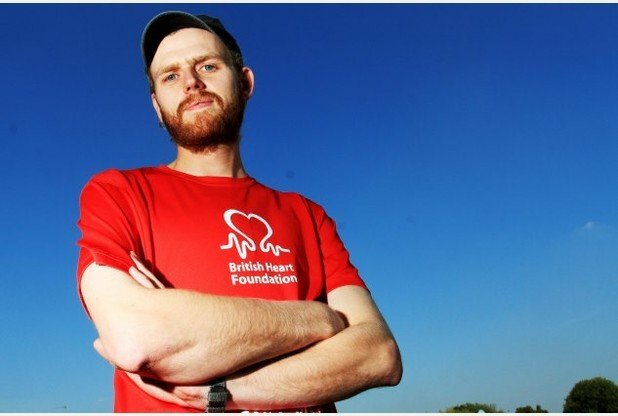 The charity is very special for Martin, as in 2011 aged just 28, Martin suffered a near fatal cardiac arrest on completion of the Stroud Half Marathon. Martin was extremely lucky that paramedics were situated near the finish line of the race. If they weren’t, the story could have had a very different outcome. Since the episode, Martin has had two major heart operations to “fix” the problem, but is not letting it get in the way of completing a long-held life goal. Martin now lives in Stroud with his partner and two daughters, and is determined to help The British Heart Foundations fight against heart disease to prevent such tragedies ripping apart the lives of other families. To support Martin in his endeavours, please sponsor him here: https://uk.virginmoneygiving.com/MartinSandles.